As summer comes to an end, you’re likely trying to squeeze in a few more moments of “family time” before the kids go back to school. You’re likely considering a few outdoor activities to fill the last few days—hiking, swimming, camping. However, rafting is undoubtedly one of the most exhilarating and exciting activities that Colorado has to offer, and sharing that experience with your kids is unforgettable. 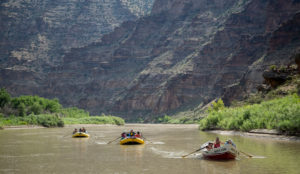 Rafting has benefits that extend beyond family summer fun. 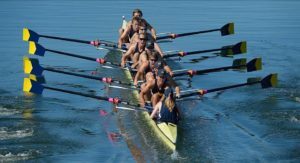 The sport has additional health and wellness advantages that your kids can carry into their school year. See below for a few additional reasons for trying whitewater rafting and rowing with the kids. It’s a healthy activity. If you live in Colorado, this probably isn’t a super important factor. You likely head out on hikes and camping trips most weekend, and you’ve worked hard to cultivate a love of the outdoors in your children. However, engaging in this fun, active, and challenging activity will introduce your kids to a new realm of outdoor adventure—extreme sports. It is essential to continue nurturing a sense of adventure and activity in kids of all ages. You’ll make memories. Everyone has a good memory from a childhood vacation. Rafting is one of the best ways to form those memories for your kids. You’ll explore Colorado, add some adventure, and navigate rarely-seen parts of the wilderness. What more could you ask for in a vacation memory? It will foster a respect for nature. Engaging with nature on a personal level is essential for learning to respect our rivers and open spaces. As kids raft in one of the best rowing destinations in the world, they will be introduced to the idea of conservation and sustainable recreation. Rafting with kids will offer a unique glimpse into how we use our natural resources. It will provide an education. Sure, your kids might not be excited to go back to school, but rafting is an excellent way to get them interested in learning about the natural world. From geology and geography to history and biology, the Colorado wilderness is one of the best classrooms in the world. Whitewater rafting will offer your kids a seat at the front. 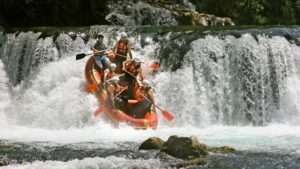 « Rafting Allows You to Leave the Campground. Are You Ready?